A novel approach on a popular genre, the more adventure based/questing gameplay should definitely add something extra to the game. 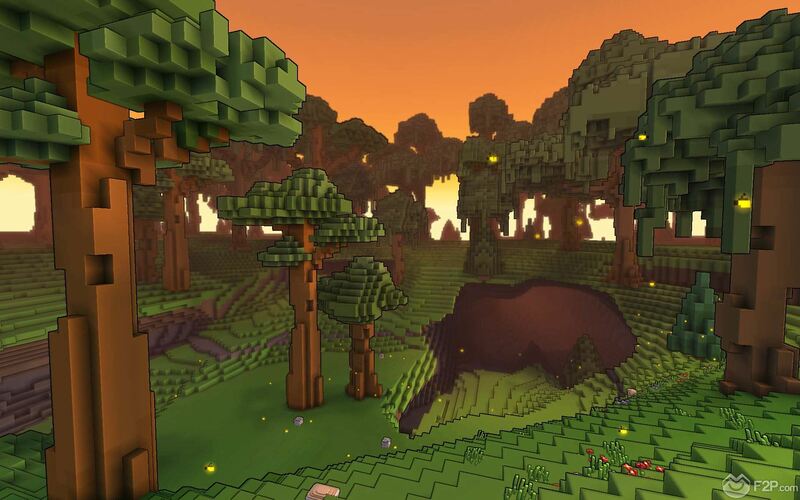 We’re not completely sold on the graphics, whilst technically better it doesn’t necessarily feel like it looks better. 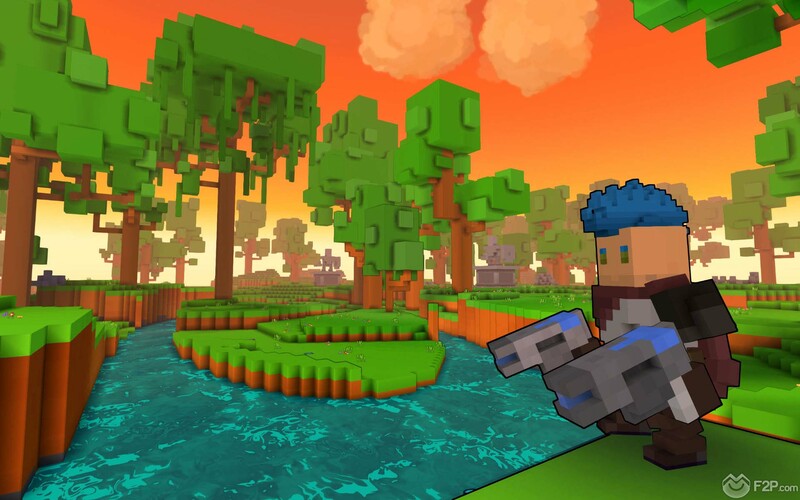 We recently checked out Trove from Trion Worlds, the open world sandbox voxel adventure where players are able to quest, build, destroy and craft in this free to play cuboid MMORPG. 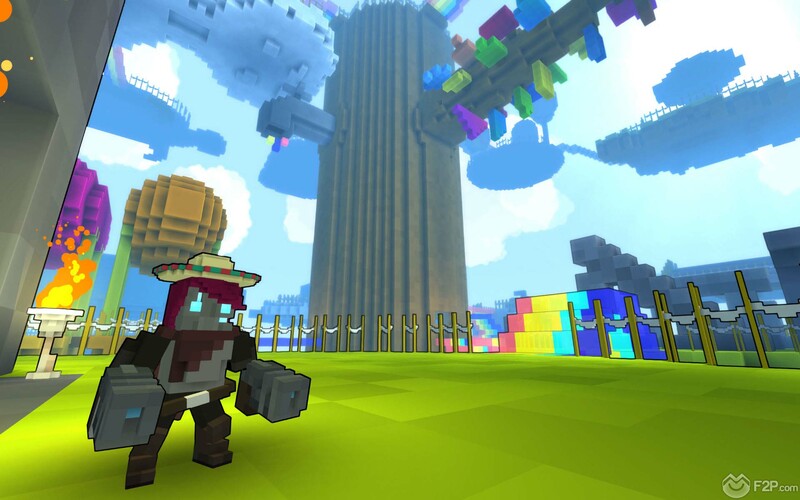 Whilst loading up the game it’s fair to say that we were expecting something revolving around the likes of MineCraft, and in many ways there are strong similarities from the cuboid graphics and general gameplay ideas, but Trove try to do it its own way by adding in different features, little twists on expected features and with perhaps what they consider to be a more enhanced graphical style. 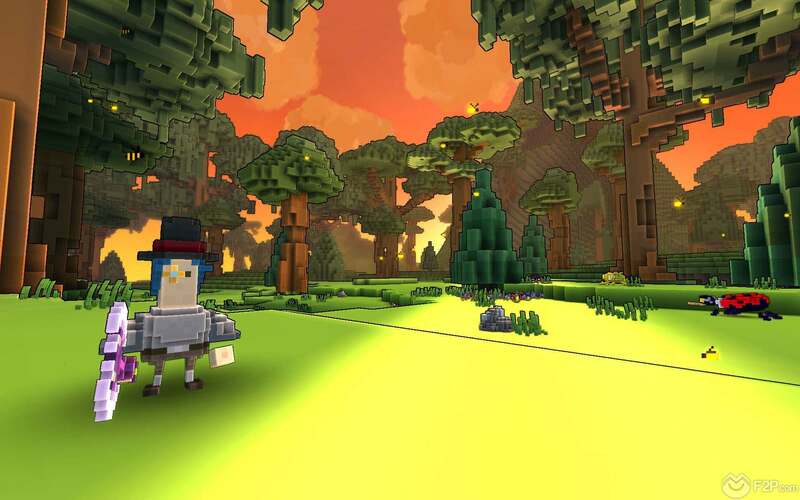 After the initial download and logging in which debt straight into the world, a starter zone that teaches you the ropes through a variety of conveniently placed signs and give you instructions on the various features. Straightaway we were faced with a character customisation area where we could choose to look of our avatar from a variety of different skins, hairstyles, colours and other tweaks that can’t be more social MMO feeling and individuality to the game. As ever we went with the Afro. We were charged first with trying to get out of the building that we were essentially trapped in, leaping through lava which damage does allow us to experience using our Elysium Potion to heal ourselves, a permanent item that we were able to refill at various locations around the world. Reaching a dead-end/brickwall that was too high for others to jump up we were prompted to switch into Build Mode with a quick hits of the tab button, this mode allowed us to place down various blocks from materials that we had collected (unbeknownst towards, originally we just thought we could place basic box without the need from materials as we haven’t at this stage and prompted how to mine materials). Heading out into the world we came across one of the first main features, a little sign beside a large grey square on the floor that indicated this was a Cornerstone, an area where players are able to place down their own personal homestead. Quite an original feature in comparison to other MMO’s or even games in this genre players I able to build their houses upon these Cornerstones and when they head off adventuring into a different location if they find themselves a long way away from where their original home was built upon locating a new empty Cornerstone they can simply claim it, which will instantly transfer their constructed home to the new site. Whilst we didn’t get the chance to fully explored the feature we can see straightaway how useful it would be not having to constantly travel back to your own fixed site, meaning players can stay out of adventuring in a particular area if they wish. 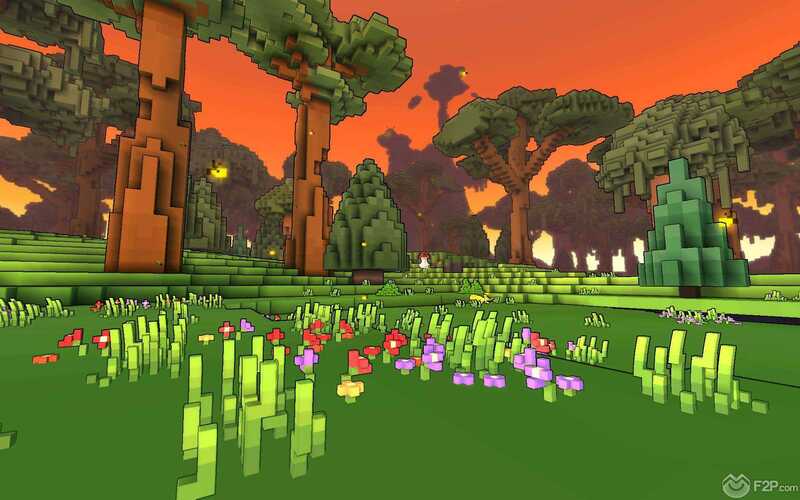 The Cornerstone homes are fully modifiable placing down blocks, using the crafting table to create various furniture and items, our initial task to progress was to build a portal that would lead us to the main open world area, but this we would need some resources. Adventuring into the spooky woods by killing skeletons and even destroying plants we were acquiring every so often the warp material resources that we needed to create our portal, on our journey we stumbled upon (and I stumbled upon I mean there was a huge floating red X above the site) a tomb that we could enter where we managed to fight some boss type NPC. 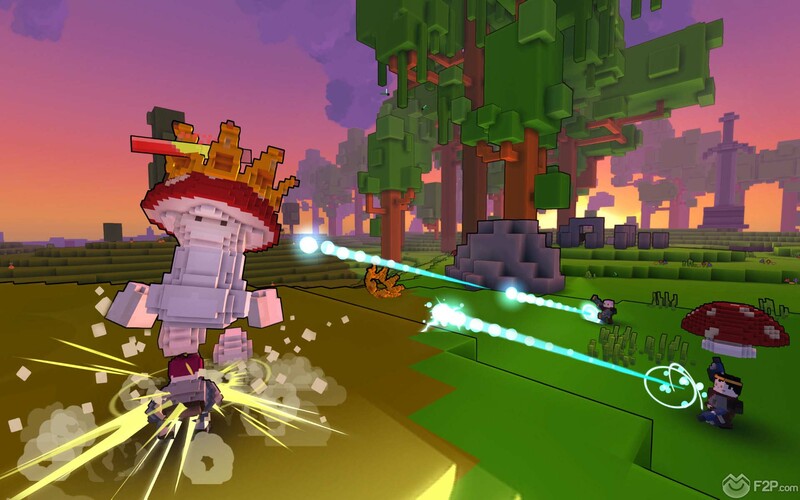 Upon killing him he dropped some MMO RPG type loot, a bardiche weapon that we could equip to improve our attacks. Continuing to explore we found a crater that we couldn’t help but jump into, fortunately for a while we couldn’t work out how to get back out as when switching to Build Mode we were only able to place down one block. Try to attack the ground to destroy blocks didn’t appear to work, but later realised that when in Build Mode the same attack function allows you to mine the blocks, which automatically gather up as resources; fairly simple really. Exploring and gathering our required portal resources we headed back to our Cornerstone and created our Warp Portal, which led us into the normal lands and here there were a variety of other level-based portals leading to other worlds and areas that we could explore. 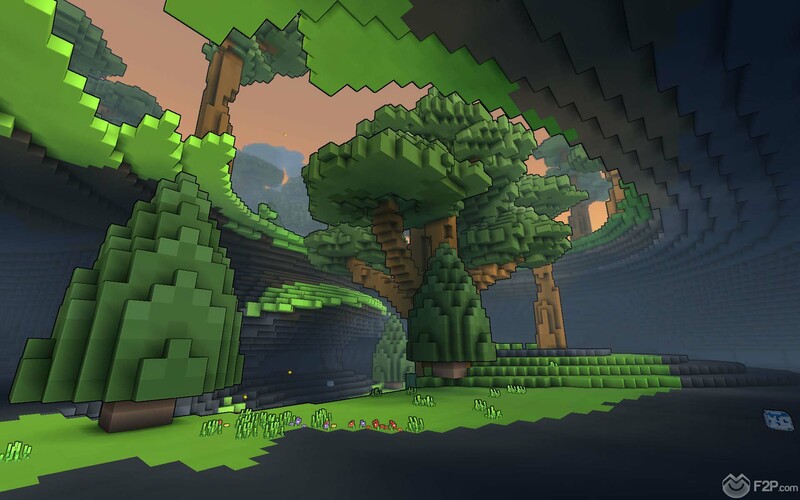 Initial thoughts were that the game seems promising, whilst the graphics are clearly enhanced in comparison to MineCraft, the lack of pixelation on surfaces that we are used to and instead having flat single colour textures at times felt like a graphical bug where the wall/flooring textures simply had loaded simply due to how it looked (though this isn’t the case). There is also a rather infuriating bug each time we had to restart the game we had to delete a bunch of files in one of our folders because the entire game was black screened other than the GUI; easy to do once we had found the solution by scouring the Internet. 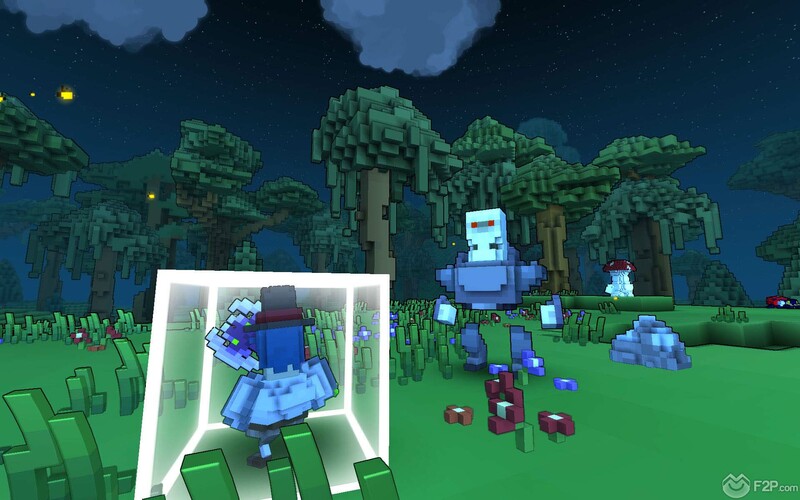 If you want to know more about Trove, click on the "info" button below.